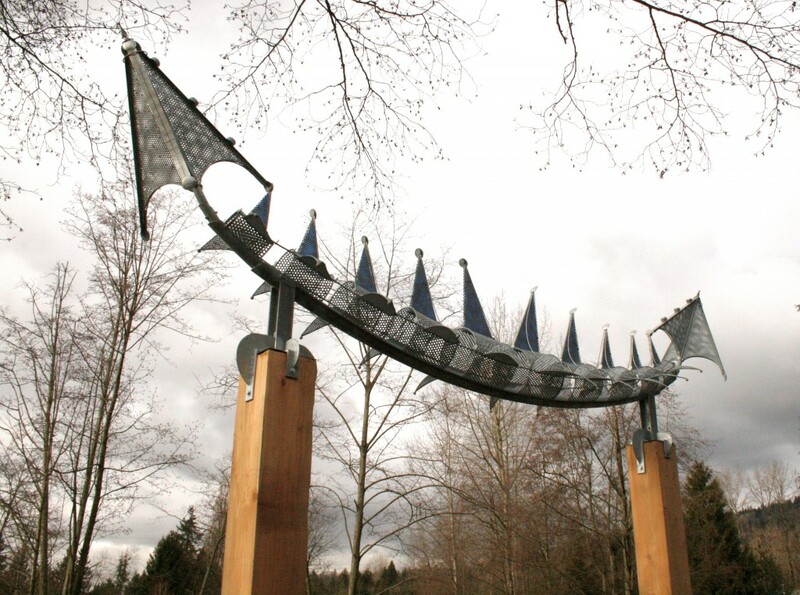 This artwork was created with input from the local community centre. 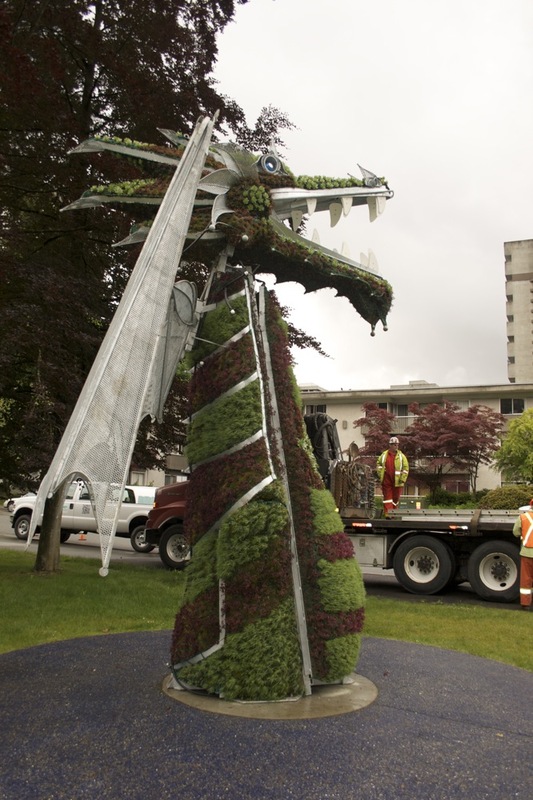 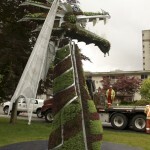 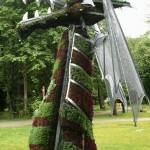 The dragon was first planted with the help of seniors from the local community. 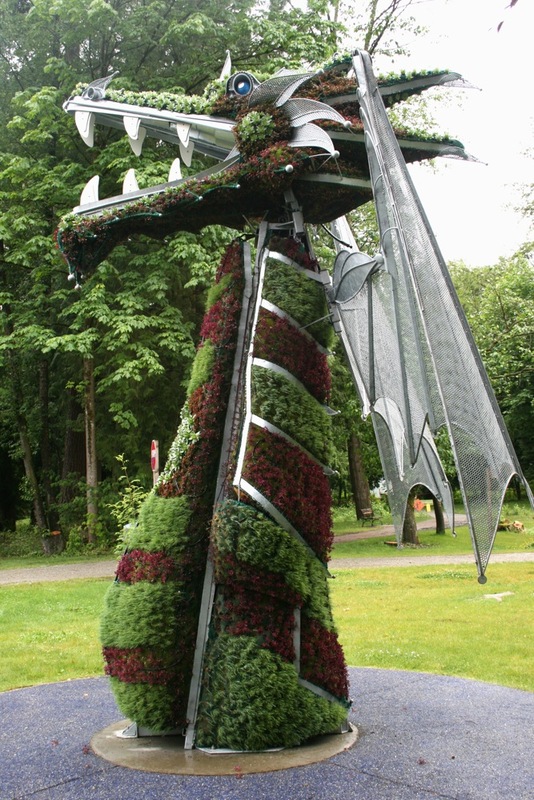 The gate has solar twinklers that are activated in the evening.